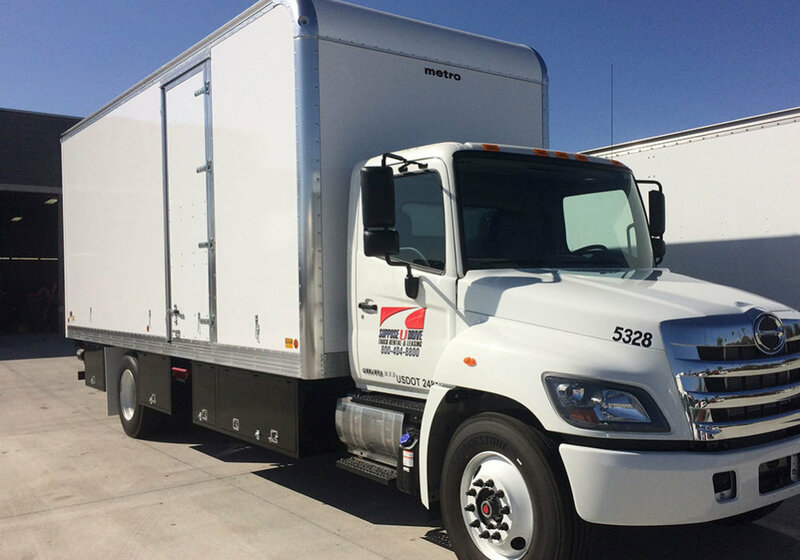 Our 24-foot box trucks are large enough to handle even your biggest jobs, and with a wealth of features and flexible rental and lease options, we’re sure that you’ll drive off the lot in the perfect vehicle. 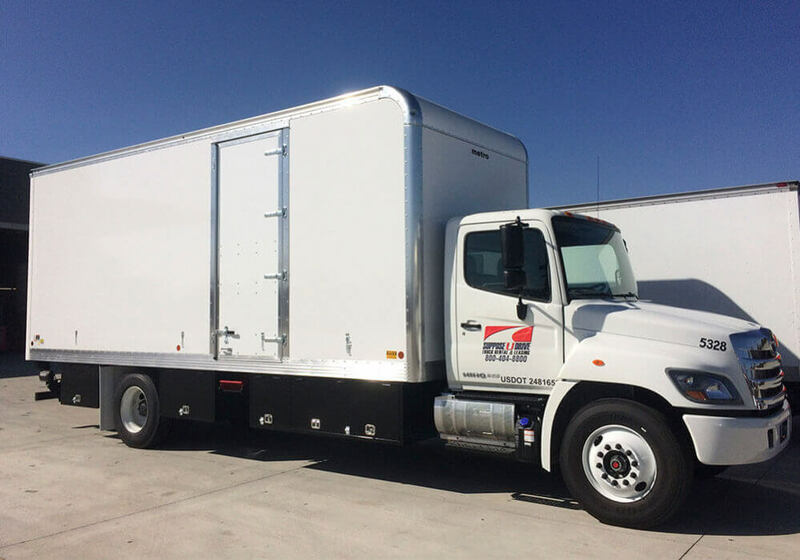 Featuring a 26,000 GVW and a 3-person cabin that includes an AM/FM radio and air conditioner, your crew will be able to work efficiently and quickly thanks to the innovative design of our box trucks. Some of the driver features include power steering and brakes, along with automatic transmission and a 95-gallon fuel capacity. 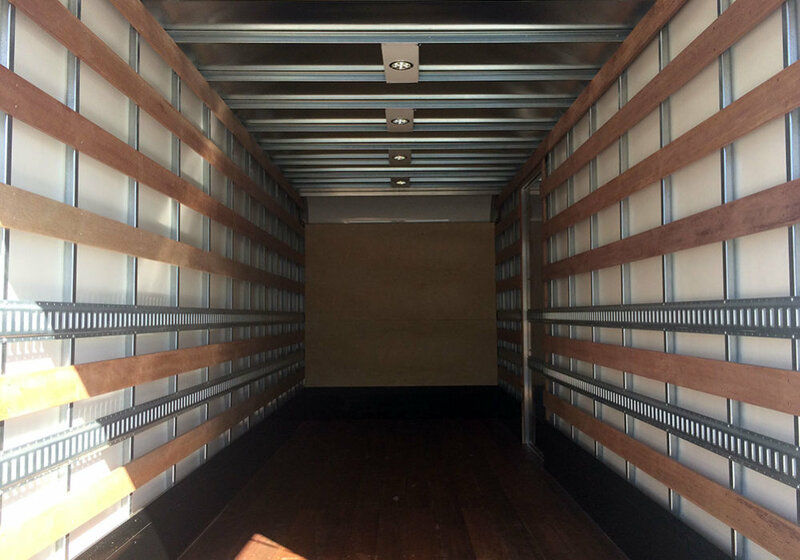 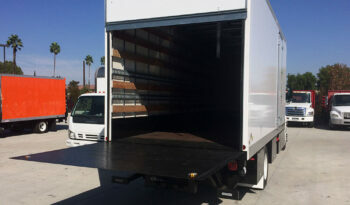 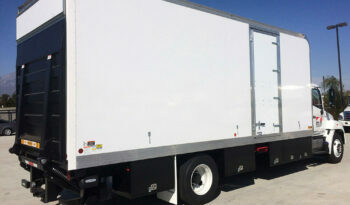 For easy loading, transportation, and unloading, the cargo area features a dock high bed, a side door with step-up, and E-track along with wood tie slats. 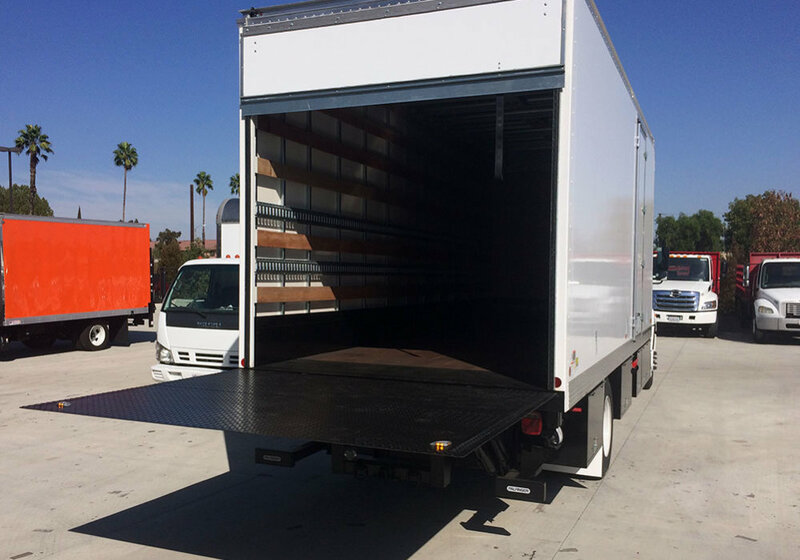 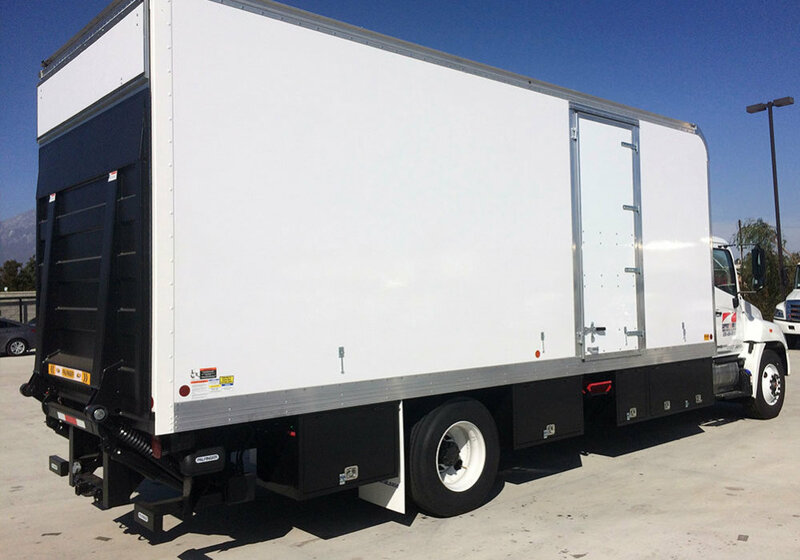 Every box truck comes with a tuck-away, cantilever, or rail-style lift gate for taking all of your cargo in-and-out with ease. 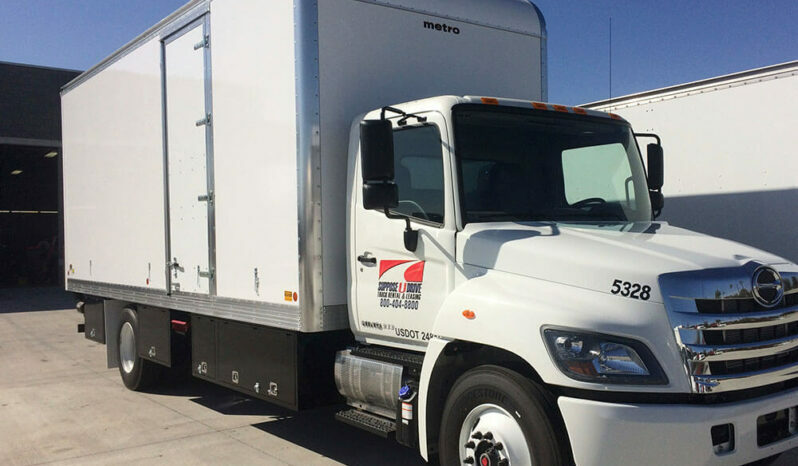 Whether you’re looking for a one-day rental or a year-long lease, the flexible options we offer here at Suppose U Drive can be tailored to fit your needs. 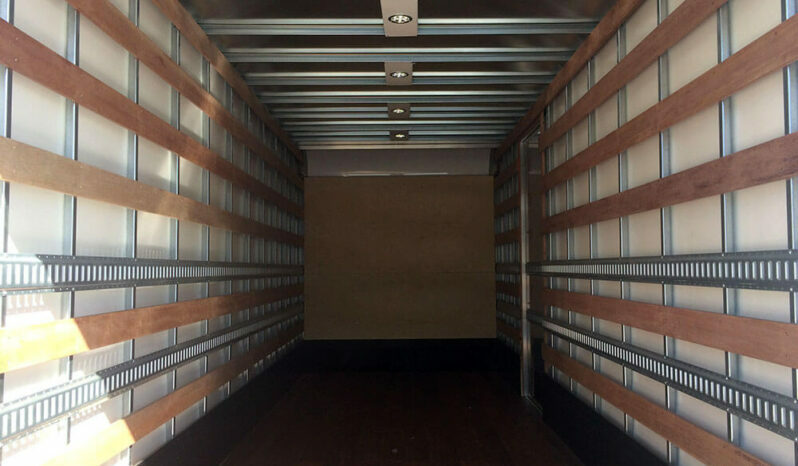 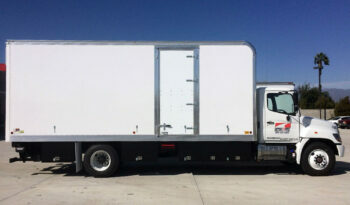 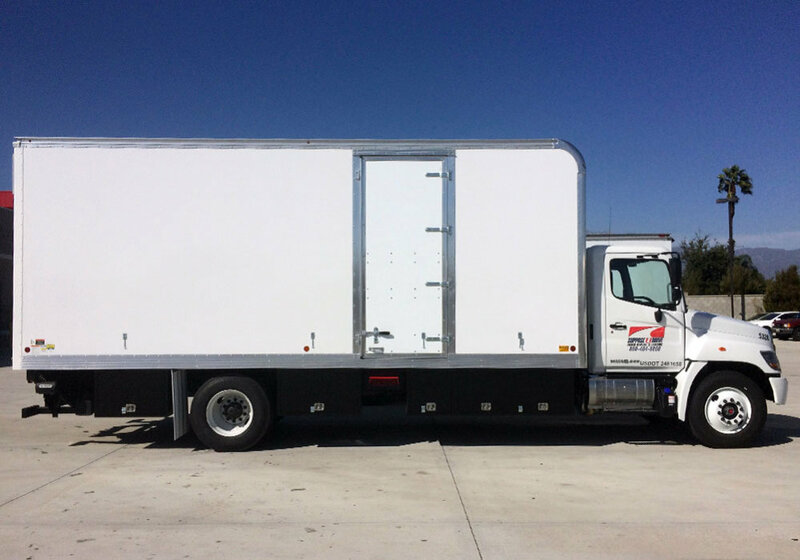 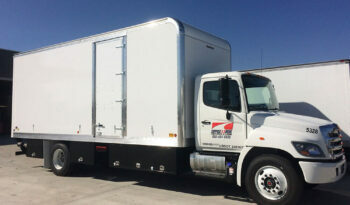 If you need your box truck right away, you’ll be happy knowing that all of our trucks have been pre-checked, washed, and fueled so that you can drive off the lot without waiting, allowing you to get back to work faster.